mAh per display square in. 173mAh/sqrin. 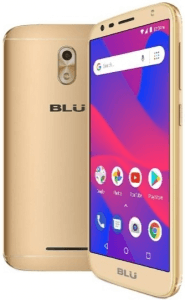 This phone (AKA BLU G4) hopes to capture brighter selfies than some of its low-end competitors by aiding its 5-megapixel front cam with a dedicated LED flash, while it possibly puts off a lot of shoppers with its lack of an LTE network adapter, since 4G was all but a standard smartphone facet when it hit the market. Finally, it runs on the Android 8.1 Oreo Go Edition, a less-demanding version of the original OS tailored to smartphones with hardware specs like a measly 1GB-only RAM. Also known as: BLU G4. 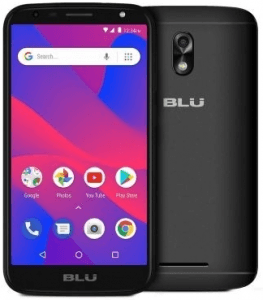 Pros and Cons Review BLU's Studio G4 comes with a flash-rigged 5-megapixel front cam and runs on the Go Edition of Android 8.1 Oreo, but its specs awkwardly lack a standard 4G adapter. Find out more about its entry-level mix of pros and cons in our technical assessment here. (more) More BLU phones See all the most recent BLU phones.